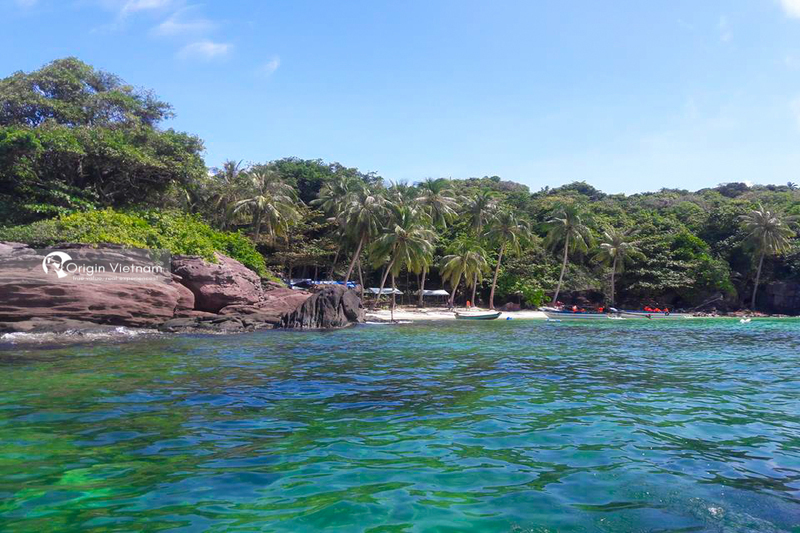 Phu Quoc is a famous island rich and beautiful. It was dubbed the "paradise for beach lovers." Net wild, dreaming of the famous beach, the luxury resort, streams in blue or pepper garden green will certainly Footbinding visitors come here. Today we will Guide to the Nail, May rut and Dam Ngang islands. There are 3 departure points to go to these islands. You can start from the center of Duong Dong town by renting canoes. Then directly from the town along the beaches to the island. Advantage: You will not have to drive down An Thoi port about 30km from Duong Dong. You have the opportunity to admire the scenery along the beautiful and unspoiled Bai Truong, more beautiful sunset on the way from cano. Disadvantages: Cost is quite high compared to affordability of many people. The train departs from An Thoi port. There are many boats and canoes you can rent right there. But you should book in advance if canoe. If you are in Duong Dong area, it is possible to rent a motorbike to the port for about 40 minutes. In case you do not want to ride, hire a taxi to pick the day to go for about 600k for 4 seater and 700k for 7 seater. Advantages: You will be active on the time to do, activities on the island. Also have the opportunity to stop, take self-portrait shooting as you want. Note, to save the cost you should take the ship composite blue shell price of about 1 million - 1 million 300 thousand depend on the number of people. Canoes cost about 2 million / 5 people for a day. Disadvantages: There are many free boats, you will be confused who can ride and trust anyone because you have no information about these people. Follow the tour - big boat - group, if you share the tour. 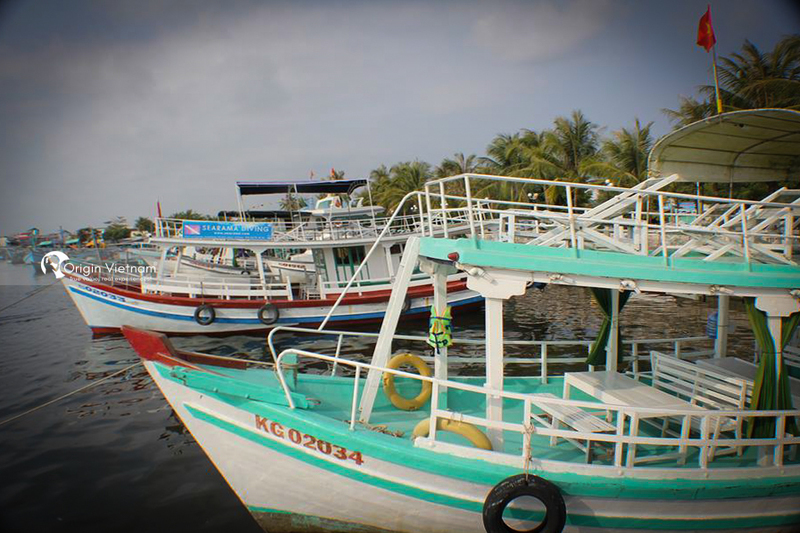 There will be free shuttle in Duong Dong town (about 9:30 am) to An Thoi port and take you on the big boat will depart in the area An Thoi harbor towards Hon Mong Tay island - Hon May Rut - Hon Ngam island. The price is about 500,000 VND / person. Tour starts around 10: 30 - 16:30 ends. Advantages: Suitable for families with children or older adults. Everything was planned and clear, remember how about lunch. Disadvantages: However, if you take the tour will be limited time to play on the island, the big boat will not count on the shore to your island to play comfortably, usually you have to swim to the shore boat not far. Along with the application to share with you a few simple schedules so that you can arrange all the vacation spots in Phu Quoc in the shortest time. Go to Phu Quoc airport, take a taxi to the hotel, usually if they are out of the hotel they will checkin for you soon. First you can go to An Thoi On the other side, there are some small islands. 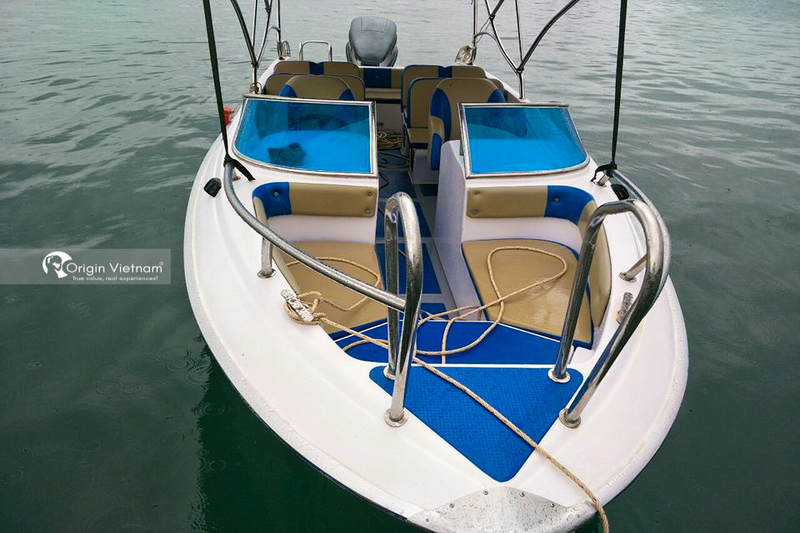 Such as Hon Bon, Mau Can you can rent a boat to go to the island to dive the coral. Evening BBQ seafood on the beach. Morning breakfast, about 8h pick up and then go to Phu Quoc Truc Lam Zen Monastery, continue to Sao beach (this water is shallow, no wave suitable for your baby), noon you can Here is lunch at the restaurant and rest is always here. Early afternoon we go to Phu Quoc prison (baby should be outside your home) and visit the fish tank home. You can order here. Go to the North of the Island, turn to visit such as Phu Quoc dog farm, Sim wine, Le Kim Dinh, Nguyen Trung Truc Temple, Ganh Dau. Also we can have lunch here. If you want to go to Vinpearl and Vin Safari on this one. Car rental and BBQ (delicious and very good quality) you may contact Mr. Minh 0937 006886 living outside Phu Quoc. You go to the market and barbecue where you like (I think the sea is the most favorite). 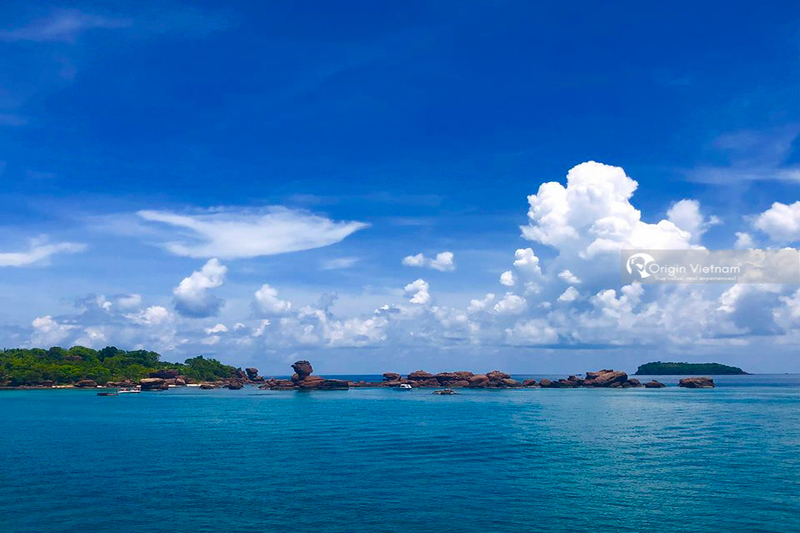 Phu Quoc divided into North and South Island, usually in 1 day will go only 1 side and visit the points on that side for compact so sometimes the schedule is thick and there are schedules again.